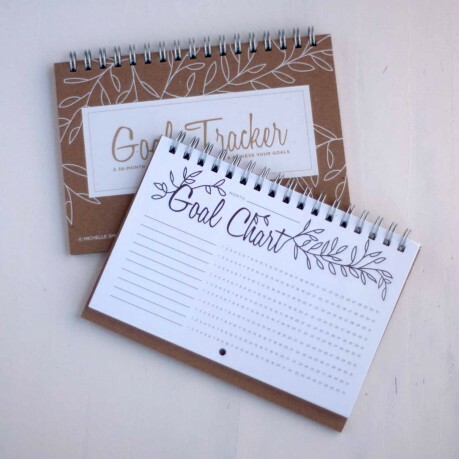 Maintain and achieve your goals with this chic and effective, pocket-sized goal chart. No matter your objective: floss every day, exercise, be a better friend, this reminder system helps keep you on target. 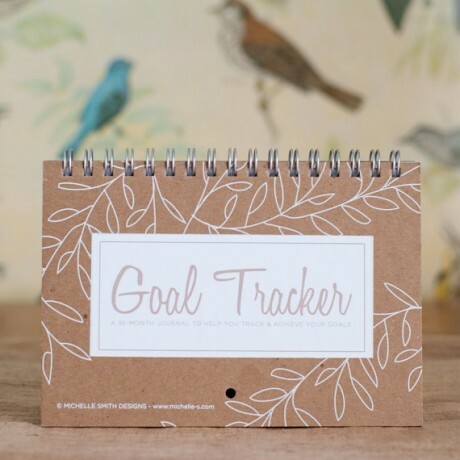 Benjamin Franklin kept a daily goal chart, and Gretchen Rubin suggests using one in her book The Happiness Project. Based on the philosophy that you don't want to break the chain of x's and thus you stay more motivated to reach your goal, each number represents a day of the month, and each day you do what you aimed for you mark an x. There is a line to write in 10 goals per month and 36 months (3 years) total. Printed on 100% recycled kraft paper cover stock, the chart is spiral bound and measures 4" x 6". It has holes so that it can be hung on the wall (think beside a bathroom mirror for maximum visability) like a calendar, or it can also be propped on a desk. It's also the perfect size to keep inside a pocket book or dayplanner.